Azerbaijan, a former Soviet republic in the Caucasus region, has broken ground on its country pavilion for the upcoming Dubai Expo 2020 event. The eco-friendly facility, which will come up on a 2,086-sq-m area, has been designed by Italian company Simmetrico, taking inspiration from two natural elements - the tree and the leaf. The project is being supported by the Heydar Aliyev Center. The main aim is to offer a place where Expo visitors can reflect on major issues related to sustainable development, said senior officials at the ground-breaking ceremony held in the presence of the General Commissioner Anar Alakbarov, assistant to the first-vice president and director of the Heydar Aliyev Center and Najeeb Mohammed Al Ali, executive director, Dubai Expo 2020 Bureau. Alakbarov officially kicked off the construction at the pavilion pavilion site alongside two Azerbaijani children, highlighting the vital role that future generations will play in sustainable development. Addressing the gathering, Alakbarov said: "We are very proud to break ground on our pavilion at Expo 2020 Dubai. Visitors to our pavilion will be made aware of their own power to have an impact on the environment and on social ecosystems." "The pavilion will be light-filled, transparent and welcoming, coming to life with events and opportunities to meet – just like our country!," he stated. 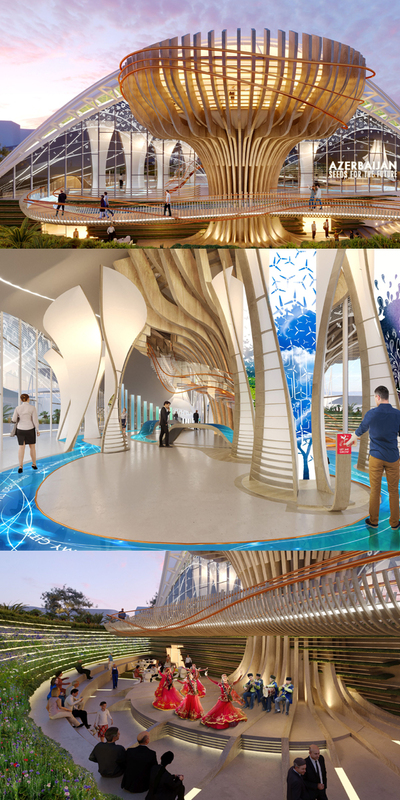 The theme chosen for the Azerbaijan Pavilion is ‘Seeds for the Future’, conveying the message that it is only by investing in the future – today – that people can truly achieve sustainable development and improve the places in which they live and work, he added. Later in the evening, the Republic of Azerbaijan for Pavilion Design Review hosted a reception at the House of Azerbaijan in Dubai. Government officials and diplomats from various countries took part. The Expo 2020 gala will run from October 20 next year to April 10, 2021 and expects to record 25 million visits, with 70 per cent of visitors projected to come from outside the UAE – the highest proportion of international visitors in the 168-year history of World Expos, said the organisers.